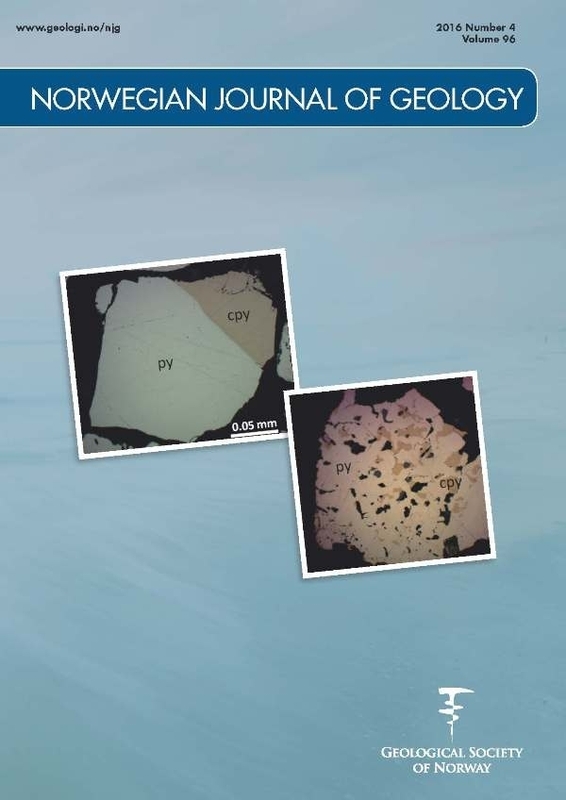 New U–Pb isotopic ages for multiple fractions of zircons from two felsic igneous rocks contained within the tectonically dismembered Forbordfjell ophiolite, Trondheim Region, Norway, provide likely magmatic crystallisation ages of 485.6 ± 0.6 Ma and 488 ± 4 Ma (206Pb/238U ages, 95% conf. limit). These ages are within the range of those reported for several other mafic/ultramafic complexes of the Upper Allochthon in the central Norwegian segment of the Scandinavian Caledonides. The geochemical characteristics of these felsic rocks indicate they were derived by differentiation from mafic precursors originally sourced from depleted mantle. These observations are consistent with the idea that the Forbordfjell and related ophiolites represent Late Cambrian to Tremadocian ocean floor and primitive oceanic arc assemblages involved in an Early Ordovician tectonothermal event, which was quickly superceded by uplift, erosion, and deposition of overlying Ordovician to likely Early Silurian volcanosedimentary successions. These assemblages were eventually subjected to strong tectonic lensing and dissection during the Scandian collisional orogeny.